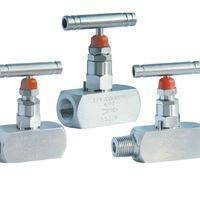 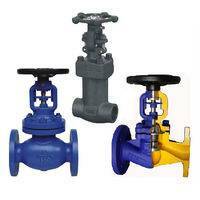 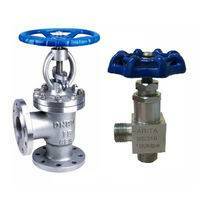 Material of bellows globe valve: Cast steel, cast iron and stainless steel. Connection type : Flange(FF,RF,FM,RTJ) BW. Globe valve with bellow seal is one type of the globe valve,why that name is bellow seal globe valve?because this globe valve have a bellow,one end of the bellow welded on the stem and anther end installed between the body and the bonnet, this structure design ensures that the media will not through the valve stem and bonnet leaked outside the valve.so it is very safely valves.other globe valves are used the Graphite or PTFE for the packing ,the packing is easy to wear and tear or damage when the valves used for long time,the medium will outleakage when the packing have broken, the bellow seal globe valve make up for the shortcomings,the material of the bellow usually used SS304L,SS316L,INCONEL or Hastelloy.so the bellow isn't easy to have broken, so the bellow seal globe valve are used for impotant piping line,it mainly used in chemical and petroleum and natural gas. 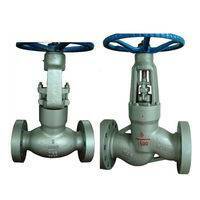 Use stainless steel bellow Instead of the packing,the seal more reliable.